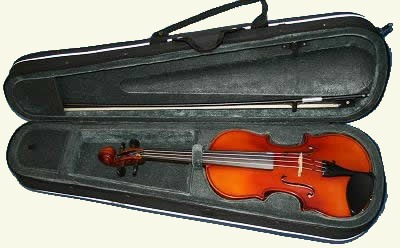 Half size (1/2) violins from Gliga, Primavera, Hidersine and others, carefully selected for quality and good value for money. 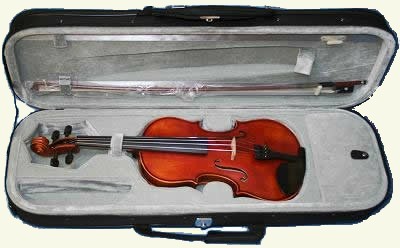 A 1/2 size version of the Primavera 200 violin outfit. This is the model that won the Best Value Bowed Instrument at the Musical Industries Awards a few years ago. Since then it has been improved with a new Carbon Composite Bow, a new case with a more student proof handle and reflective strips, making it really stand out in vehicle headlights. A useful safety feature. Still made from well selected, hand carved tone woods with Ebony fittings this is an excellent student outfit and one of our best sellers.